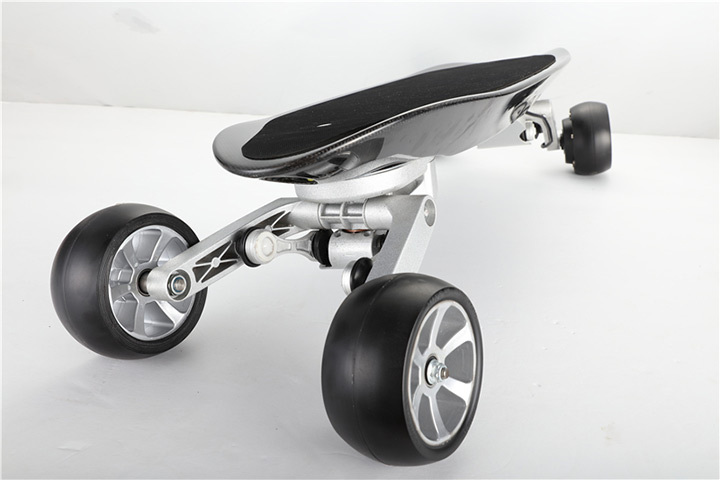 The all-new KKA S1 electronic skateboard provides a surfboard or ski-board like experience on land. 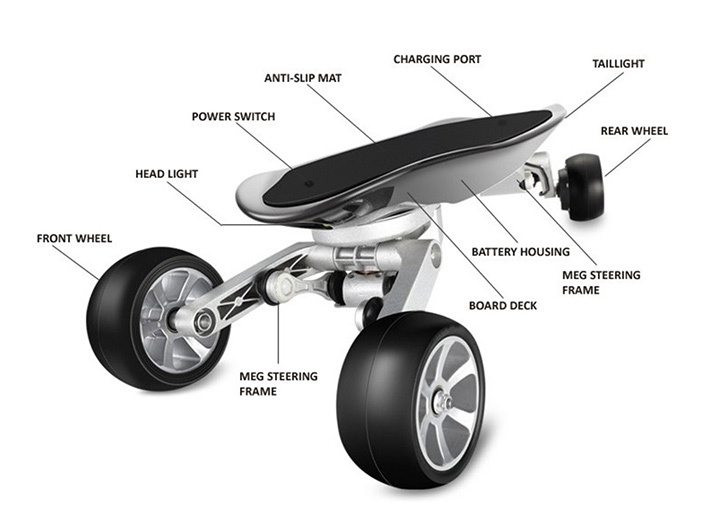 It looks like any other skateboards but its filled with advanced features. 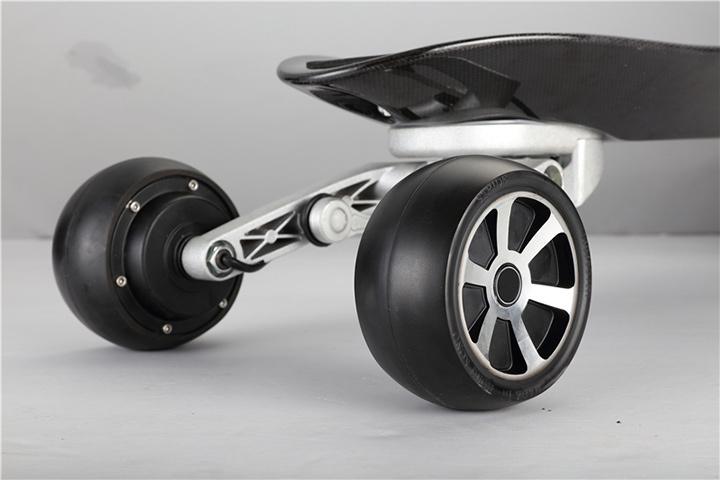 It includes a strong, light carbon fiber and magnesium alloy frame. 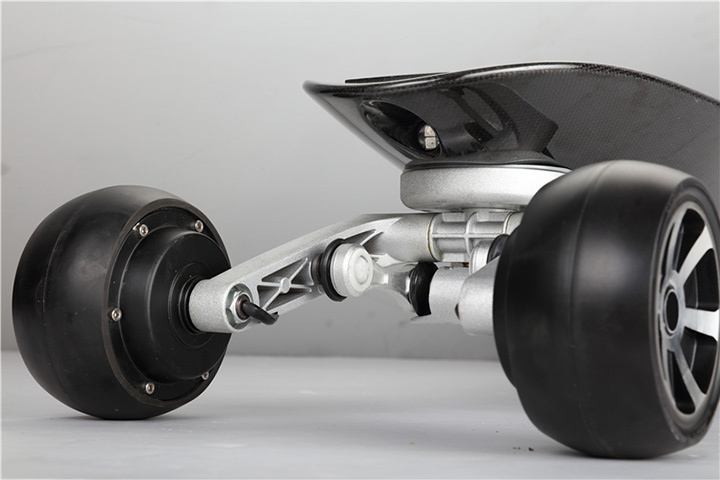 A four-wheel-drive system that provides both rear and double drive systems, a powerful 500W Hub DC Double Motor consisting of two 250w drive motors offering a max rotate speed of 1800 rpm. 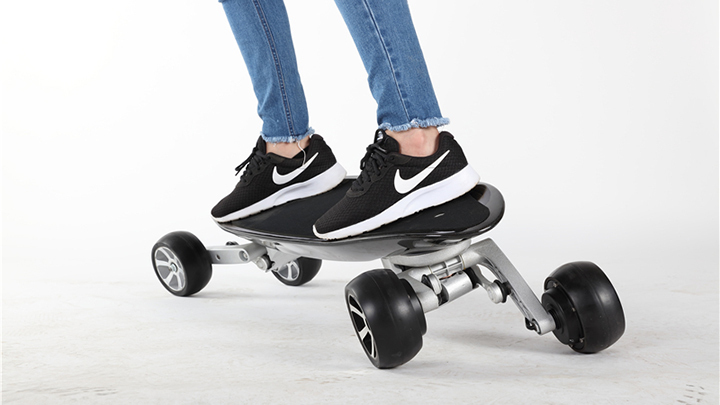 The electric skateboard can hit the maximum speed of 35 km/h and offers a 40-mile range with an 8.8 Ah lithium battery and many more. Now available for pledges starting from $768.